Working remotely while traveling as a digital nomad opens the world to you. As long as you have a decent internet connection, you can live and work and explore anywhere. However, there are still some “real world” considerations that accompany running a business from the road. Namely, mail. While you can handle most important matters over email or through a variety of apps and software tools, the world hasn’t done away with snail mail just yet. From client checks to bills to legal documents, you may still need a physical mailbox even as you wander the world. However, if you’re one of the roughly 4.8 million Americans current working as a digital nomad, or part of the 17 million who desire to be, there is a solution to this problem: virtual mailboxes. 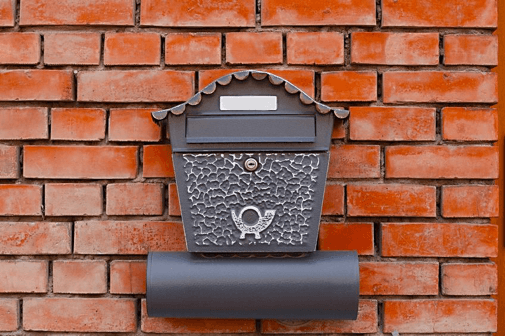 What is a Virtual Mailbox Service? At minimum, most of the platforms offer online viewing. There’s usually a base monthly price with additional fees depending on which services you need or how much mail you receive. To set up your new address, you sign up with a service, complete USPS Form 1583, officially change your address and then you will be ready to get mail from anywhere in the world. How to Choose a Virtual Mailbox Service? Price is just one factor that you need to include in your selection. You also want to consider if you need a physical address or P.O. Box. If you have clients who pay by check, then you’ll want to get a service that includes check depositing. Or, if you have bills that only come in paper form, then you’ll want an open and scan service, so you don’t miss a payment. To help you sort through your options, start by listing all the requirements you have for a mail service. There are many virtual mailboxes to choose from. While your cheapest option is to get a friend or family member to open your mail for you, this is not the most reliable or kindest option. Instead, check out these options to find one that best meets your needs. VirtualPostMail was created by someone who needed a mail solution to run a business remotely, so the company understands the services that digital nomads need. All but their starter plans include unlimited free mail with a different number of scans and recipients per months. Check deposits and shipping are possible for a fee. With any account, you’ll get a commercial address, no setup or cancellation fees, a free registered agent and unlimited digital storage. Currently, the company has a limited number of addresses in the US. Anytime Mailbox has services at 465 locations across the US, Canada, Europe, India, Indonesia and Malaysia. Their pricing depends on location and services, with a range of plans available. You get a real street address and can choose features such as Open & Scan, Forwarding, Check Deposit and Shredding. Each account gets unlimited mail storage as long as your account is active. Anytime Mailbox is probably one of the most global virtual mailboxes for digital nomads and their online interface is user-friendly. Traveling Mailbox has five plans to choose from which vary based on the amount of incoming mail, page scans, mailbox recipients, etc. Their plans work for personal, small business and enterprise purposes. All accounts include envelope scans, junk mail filtering, unlimited cloud storage and free mail shredding. They have 30+ addresses across the US. Premium features such as check deposits cost extra. There are also additional fees if you go over your monthly limits. Their service can integrate with Evernote, Bill.com and Dropbox. US Global Mail offers individual and family plans for month-to-month, 12-month or 24-month periods. With all accounts, you’ll get scans of the outside of any envelopes received. You can decide what to do from there. The only additional fees will be for shipping, but the rates are quite affordable. They only offer one address in Houston, Texas, but this is only limiting if you were planning on picking up the mail in person to save on shipping costs. PostScanMail has 66 US addresses. They have three plans that vary by limits on incoming mail and open and scans. You’ll incur additional fees for additional incoming mail and open and scans, mail forwarding, mail and package storage and multiple mailbox users. All accounts get a real street address and online mail management through their online portal and app. Do you know of any other great virtual mailbox service for digital nomads? Let us know in the comments!